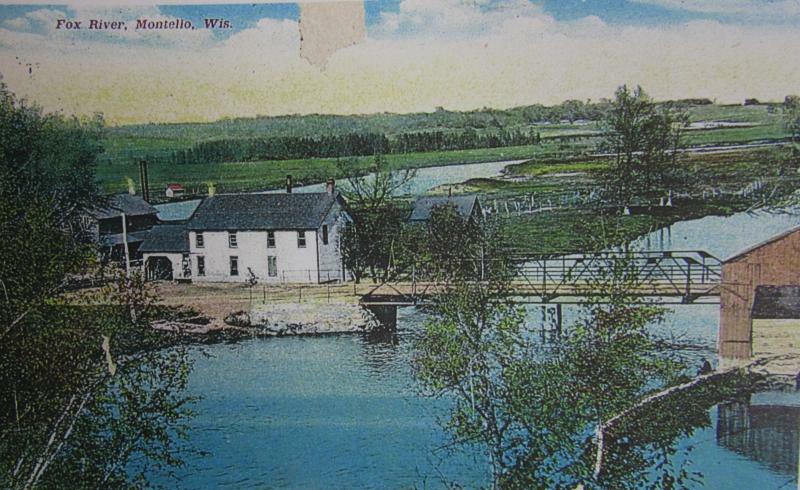 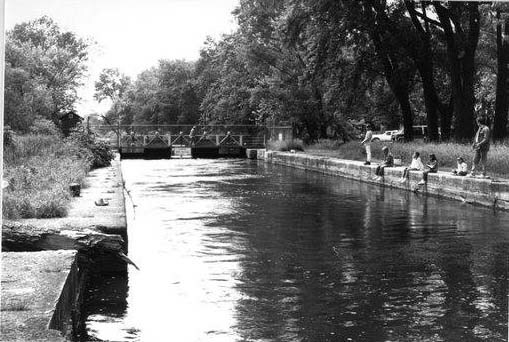 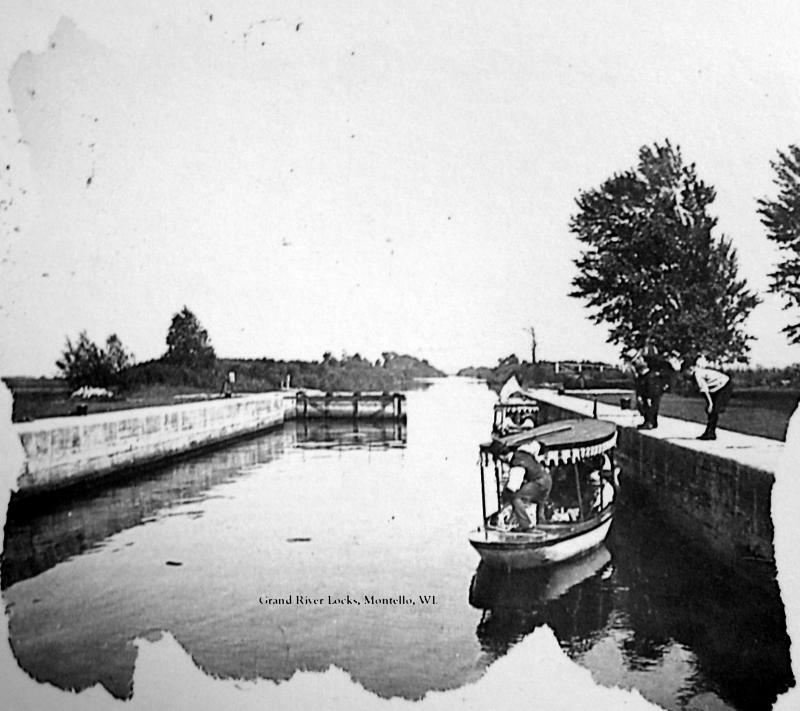 Lower Montello Locks downstream from Montello. 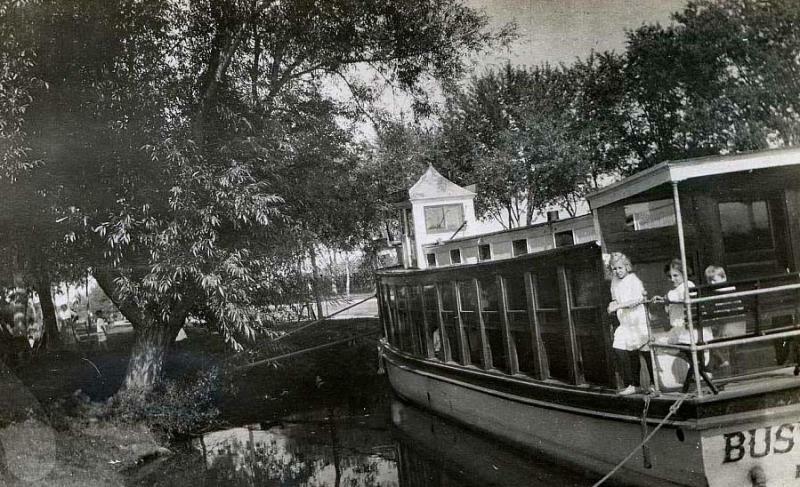 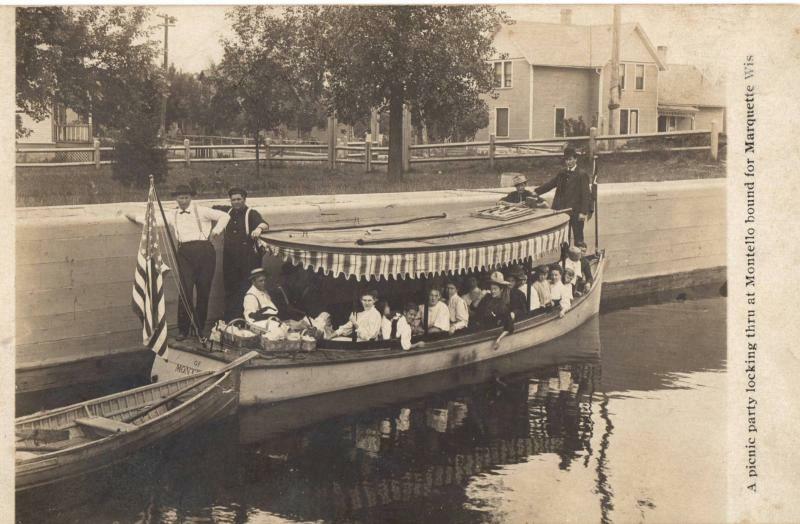 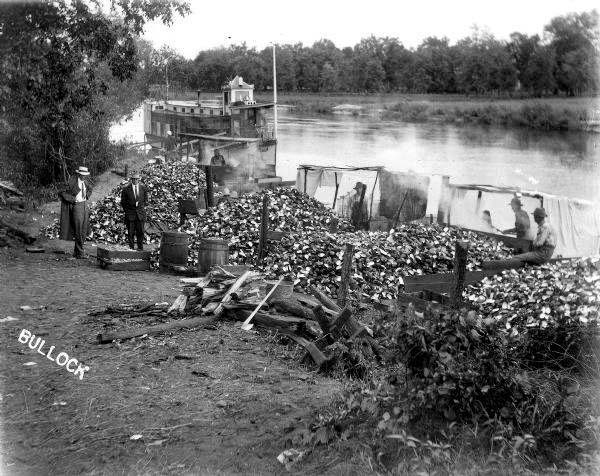 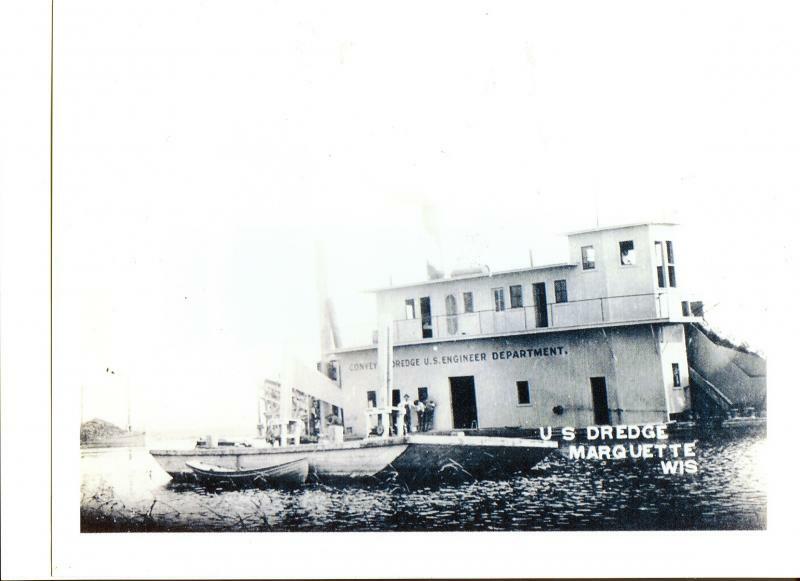 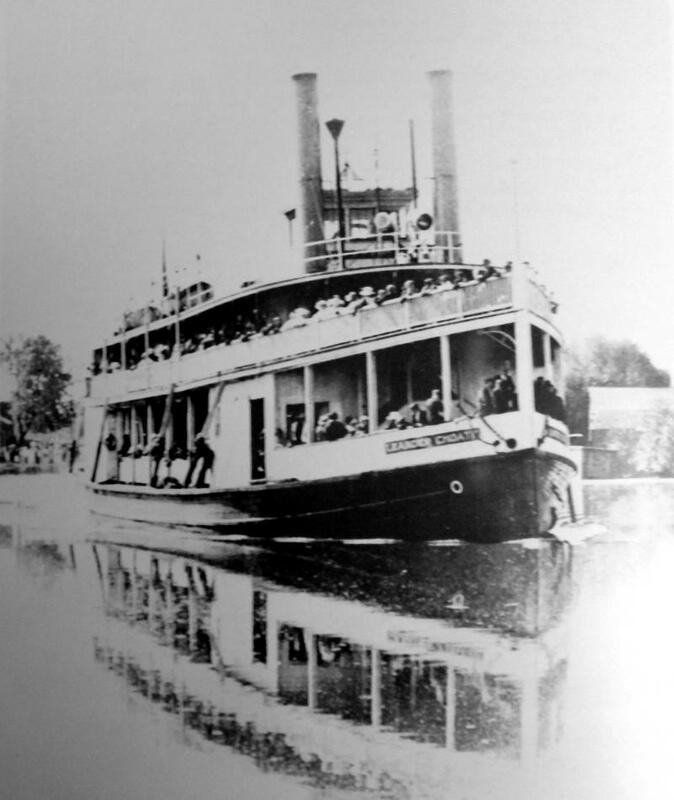 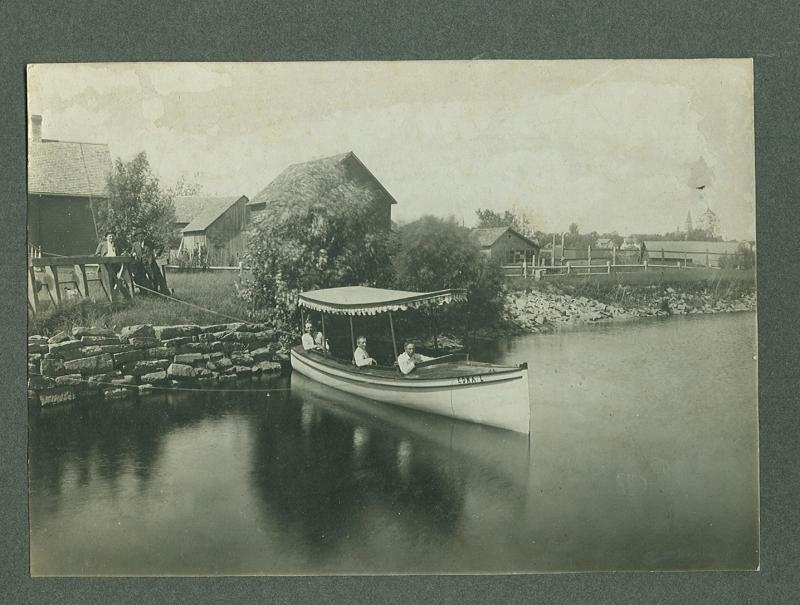 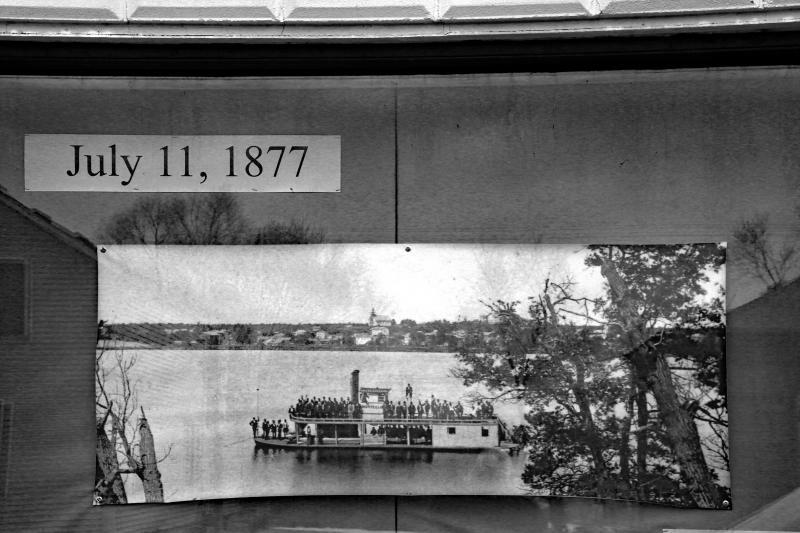 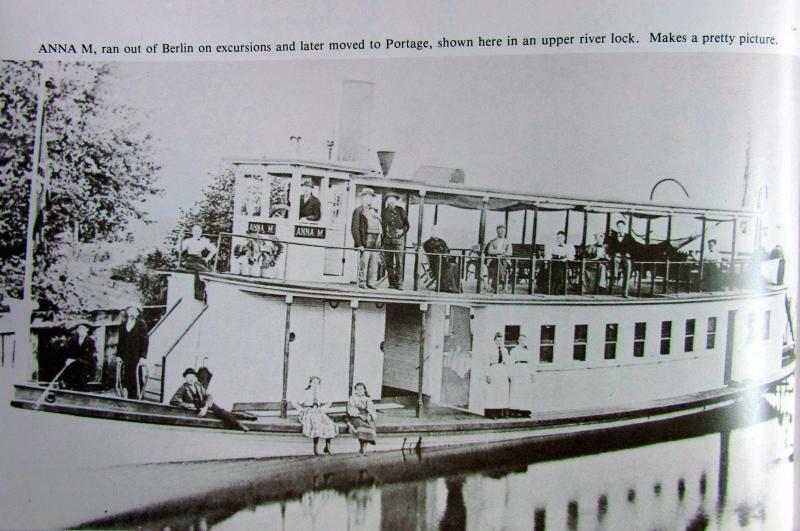 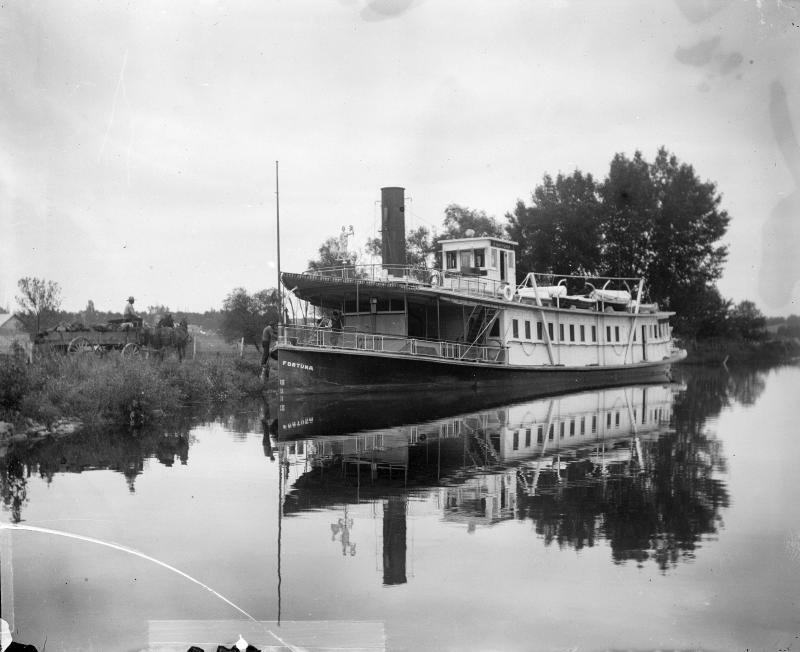 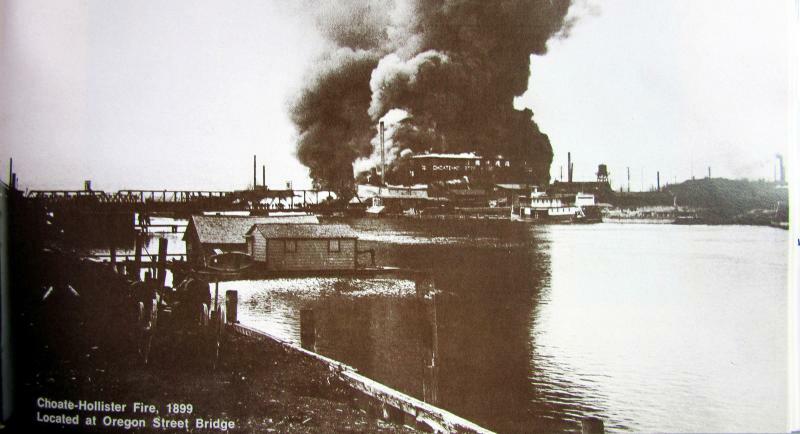 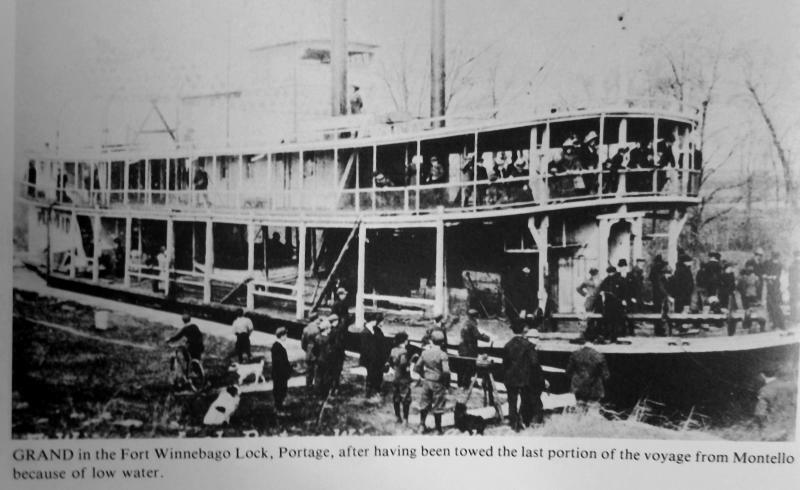 Henry Freitag's launch at the Montello Locks. 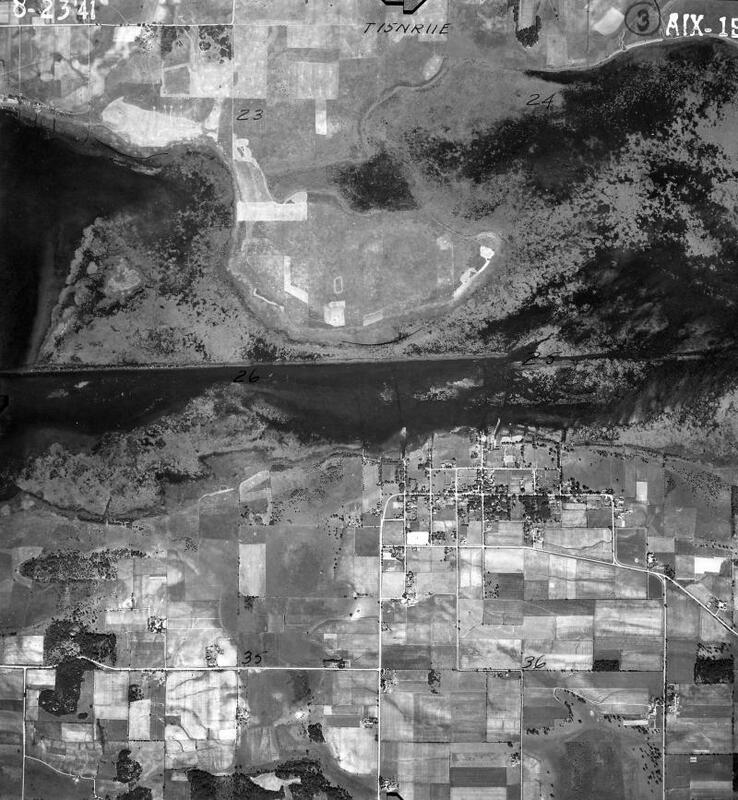 Aerial photo of Puckaway from August 1941. 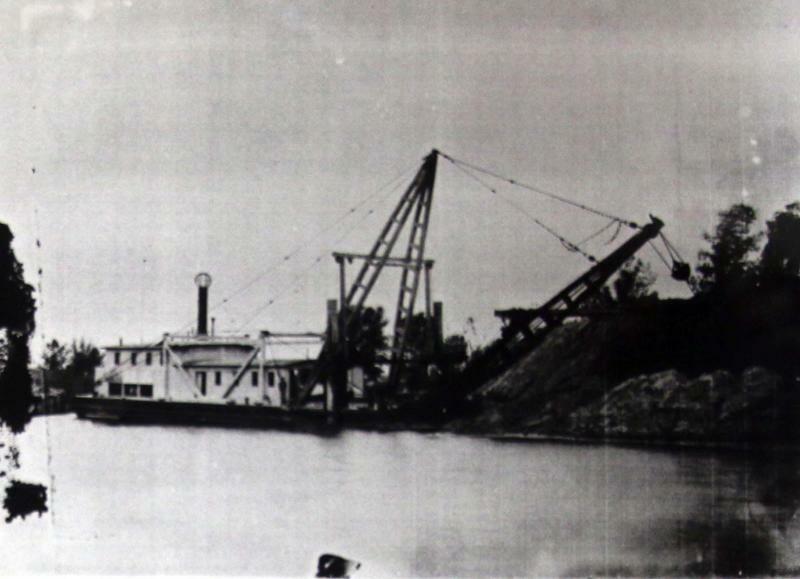 The dredge bank runs east and west. 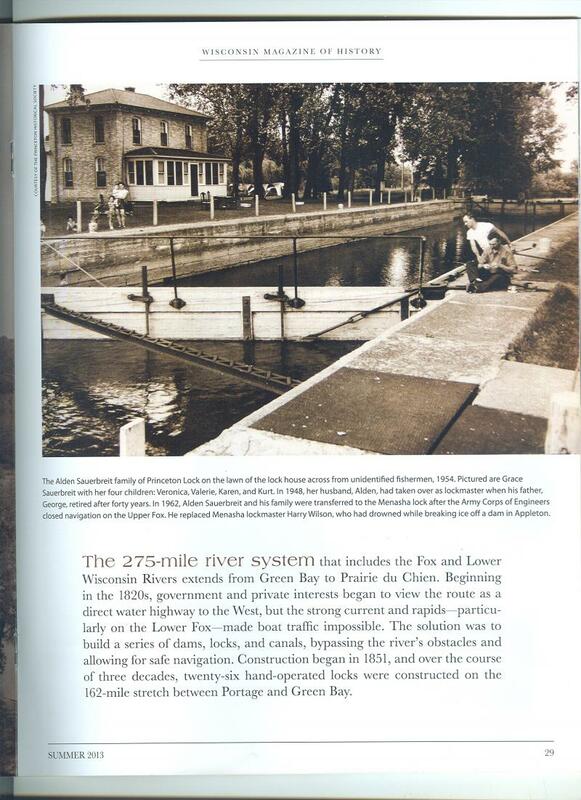 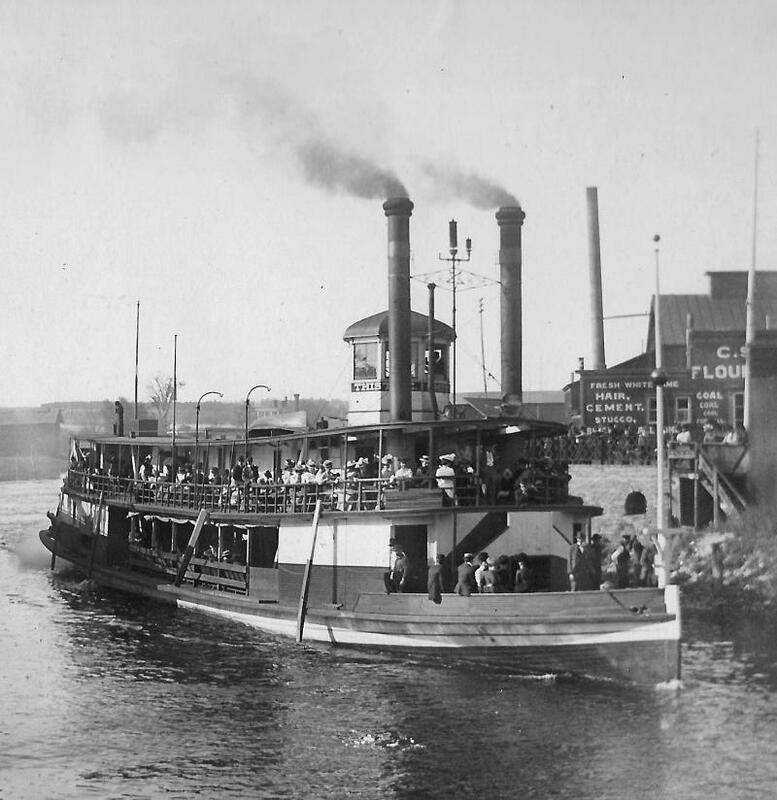 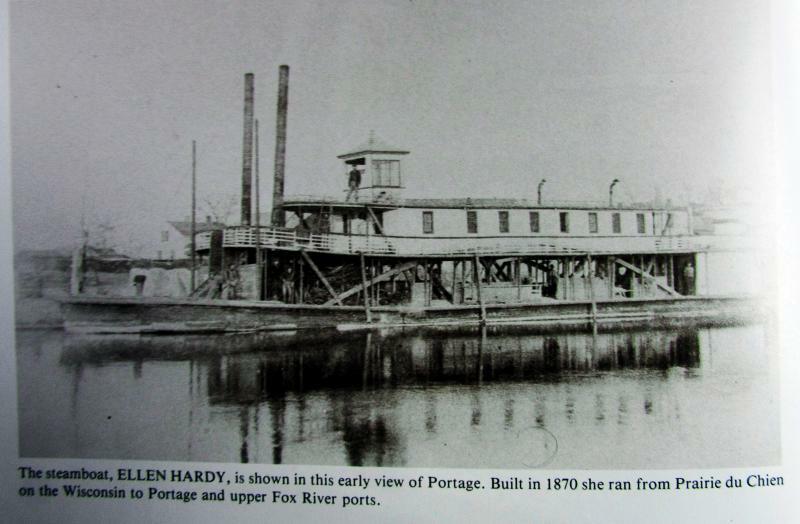 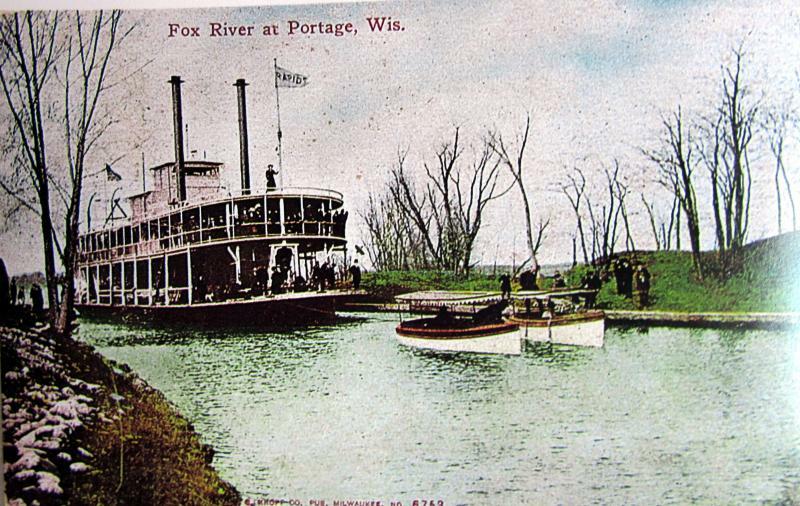 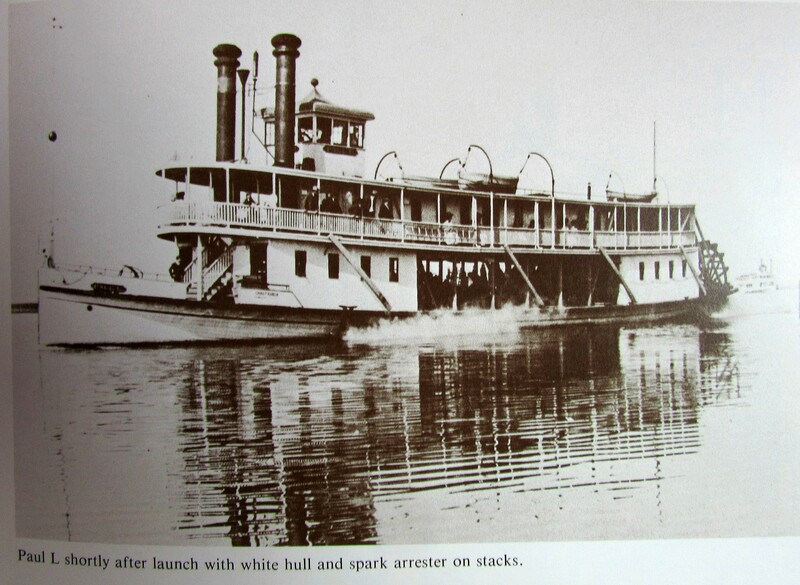 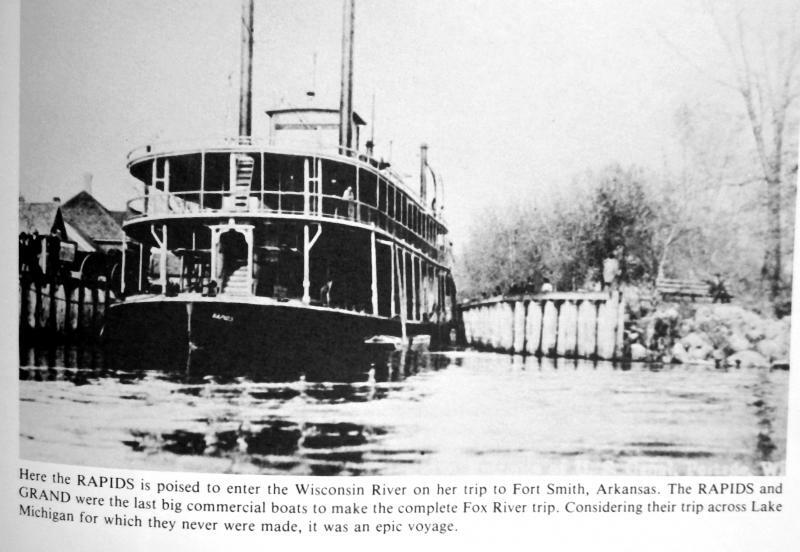 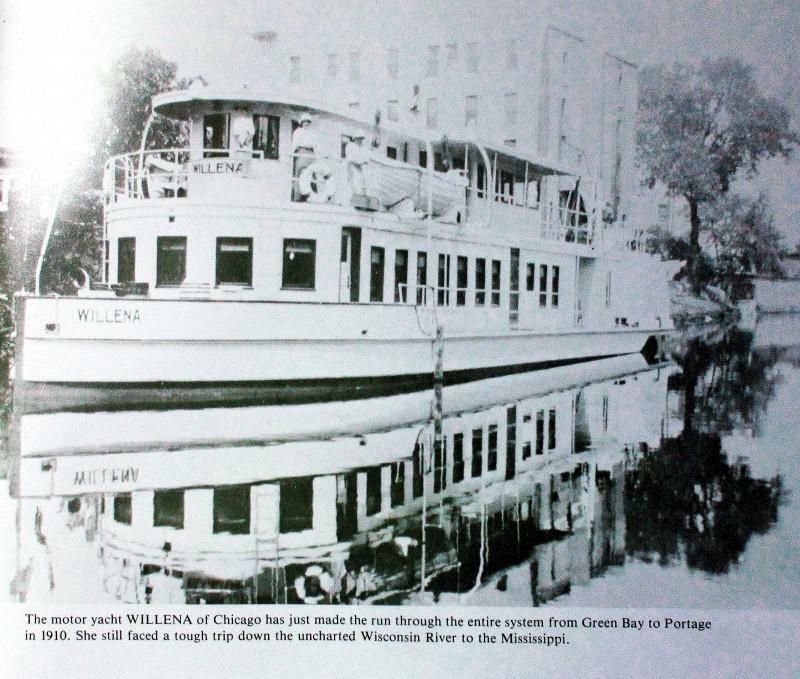 The river channel is very distinct and was dredged to allow the steamboats passage through L. Puckaway. 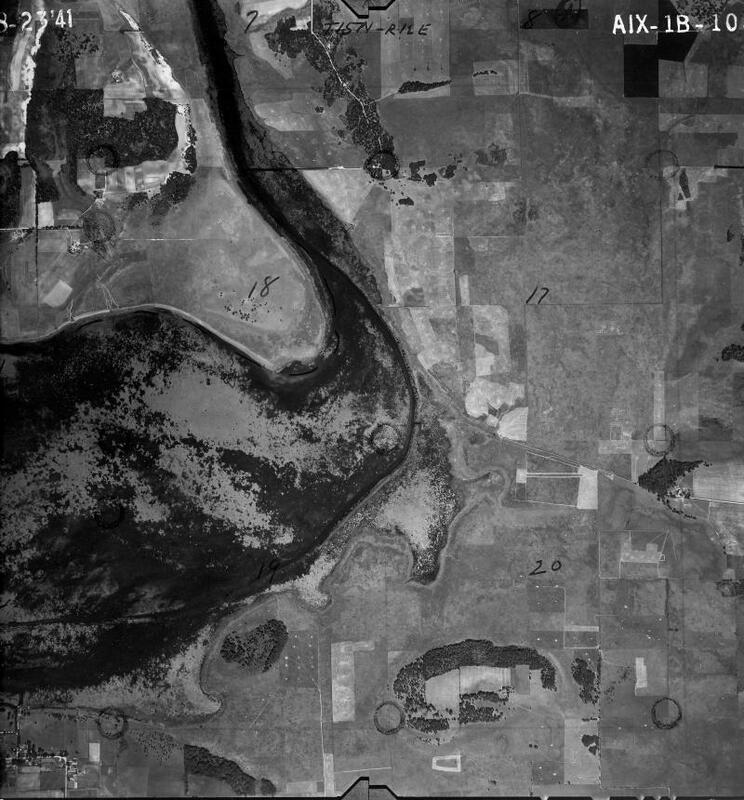 August 1941 aerial photo of Puckaway shows the river channel and dredge bank at the eastern end of the lake. 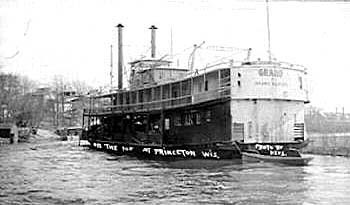 The channel is the route the steamboats had to follow inorder to pass through Lake Puckaway The channel was approximately 4-6 feet deep.